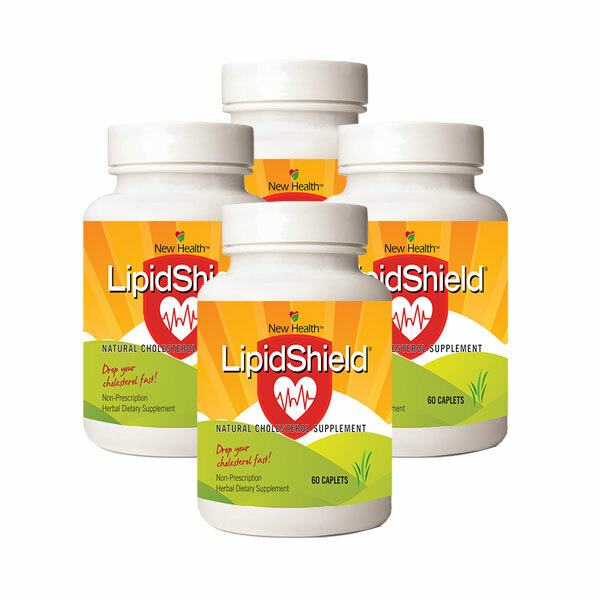 LipidShield is a proprietary blend of several well known ingredients that have been known for their cholesterol reducing characteristics and for overall heart health. After years of research by Doctors, this unique combination of ingredients has resulted in a revolutionary product that is an excellent non-prescription alternative for managing healthy cholesterol levels. LipidShield Plus is a clinically proven cholesterol lowering product very similar to HeartSavior except it does NOT contain Co-Q10. It contains the same 6 other ingredients in HeartSavior. In a clinical study, Lipidshield Plus demonstrated statistical evidence of improving several cholesterol numbers. 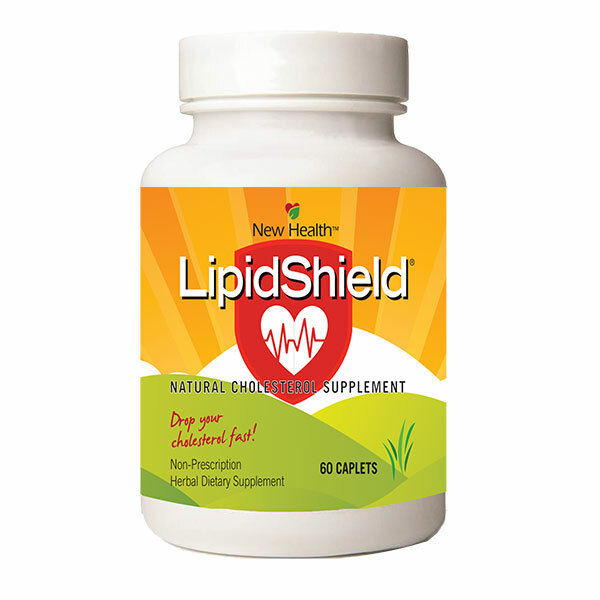 LipidShield Plus has been clinically proven to lower LDL cholesterol by up to 34%, VLDL cholesterol by up to 71% triglycerides by up to 76% and total cholesterol by up to 28%, while also helping to improve circulatory health. Plant sterols and stanols represent a group of compounds that are an essential constituent of cell membranes in animals and plants. Cholesterol is actually a sterol of human cells, whereas phytosterols are produced by plants. The most common plant sterols are sitosterol, campesterol, and stigmasterol. Plant sterols, although structurally similar to cholesterol, are not synthesized by the human body and are very poorly absorbed. The specific plant sterols that are currently incorporated into foods and supplements are extracted from soybean oil. This natural ingredient is derived from the mixture of plant chemicals (ketonic steroids) from the gum resin of Commiphora mukul, called guggulipid, and is an approved treatment of hyperlipidemia in India. It has been a mainstay of traditional Indian herbal medicine (Ayurveda) approaches in preventing high cholesterol and atherosclerosis. Clinical studies indicate it to be effective in the treatment of elevated cholesterol, elevated triglyceride levels and elevated LDL (bad cholesterol) levels. Studies have also shown that LDL oxidation, which is the main cause of plaque build in the arteries, can be prevented or at least decreased by the antioxidant activity of Guggul. Red Yeast Rice has been used in China for centuries as both a food and as a medicinal substance. It is made by fermenting a type of yeast called Monascus purpureus over red rice. In Chinese medicine, red yeast rice is used to promote blood circulation, soothe upset stomach, and invigorate the function of the spleen, a body organ that destroys old blood cells and filters foreign substances. In addition, this dietary supplement has been used traditionally for bruised muscles, hangovers, indigestion, and colic in infants. Flush-free niacin may lower cholesterol while boosting the beneficial HDL fraction. In a report on the antiatherogenic role of HDL (high density lipoprotein) cholesterol, flush-free niacin (inositol hexanicotinate) “appears to have the greatest potential to increase HDL cholesterol by 30%.” This study was made over a 5-year period and focused on the effect of high LDL numbers exhibited before a patient’s first coronary event(s). You may or not remember me, I have not contacted you for a while for more Lipidshield? There is a reason for this! Last October, as my Wife and I had both been taking Lipidshield for several years, we decided to stop and see how our cholesterol fared without it. We returned to the UK in May and had our annual blood tests. My cholesterol had risen by 36% and my Wife’s by 24%, our normal diet was unchanged! Not surprisingly, we have concluded that Lipidshield really works and are both back on it again! We will be returning to the US in a couple of weeks and will need to order more. And a postscript, after we started taking Lipidshield again, the following year the levels were back down! By the way, if you want to used our ‘experience/testimonial’ for any advertising purposes, please feel free. I am writing you to express our most sincere thanksgiving for developing and providing your amazing LipidShield. My wife and I have both been taking LipidShield for eleven (11) years with amazing results. Because of the success LipidShield has provided us, we are two of your most satisfied and avid customers. To help you better understand how pleased and thankful we are, let me briefly review our story. Our history with Lipidshield began in 2006 when we were fast approaching age 70. We had been health conscience for many years but despite our best efforts of weight management and daily exercise, our total Cholesterol levels had slowly continued to climb to the 220-240 mg/dL range. Our medical doctor began pressuring us to both begin using the drug Lipitor to get our Cholesterol level below that magical 200 mg/dL level. After researching numerous articles and papers concerning the dangerous side effects of Lipitor, we elected not to pursue the drug route. During my on-line searching of non-drug alternative treatments for lowering our cholesterol, I found your excellent website for LipidShield. 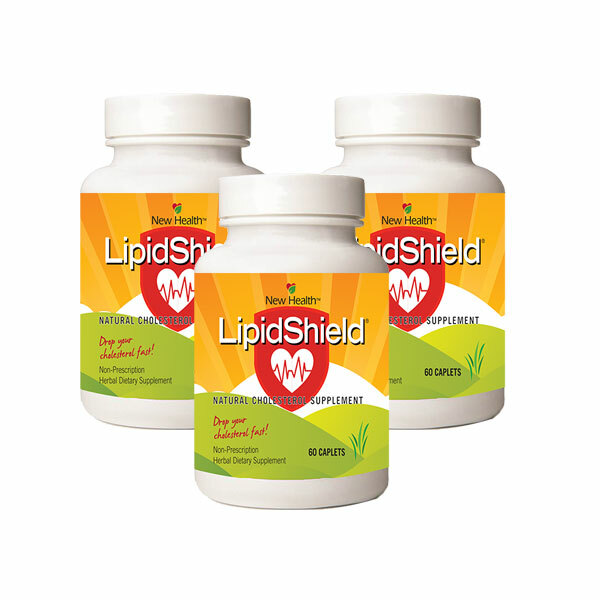 After reading the amazing patient reviews and testimonials we placed our first order of 3 bottles of LipidShield. Our conclusion was that with all natural ingredients and great reviews, it surely wouldn’t do us any harm, and it might even help. While awaiting the arrival of our order, we purchased an ‘at-home’ total cholesterol checking unit so that we could monitor our progress, if any. We began taking one (1) tablet of Lipidshield daily as soon as we received our first shipment (which came very quickly). We made our first ‘at-home’ check at the end of the third week taking Lipidshield, and to our surprise and delight we found that our scores had dropped to the 210-215 range, without changing our diet or exercise programs. I won’t bore you with all the details but jump forward to early November when we had been taking LipidShield for five months. To our delight we had both continued to lower our total Cholesterol levels to the 150-160 mg/mL range. Our physician was absolutely amazed, and we were exceptionally pleased. Your wonderful LipidShield worked amazingly well for both of us, and all without taking Lipitor or any other prescribed drug. Even through the Thanksgiving and Christmas holidays where we wandered off our diet a little, your marvelous LipidShield continued to maintain our total Cholesterol levels in that 150-160 mg/mL range. Need-less-to-say, we are totally sold on your fantastic LipidShield and never fail to share our experience with anyone we find, or hear of, searching for a drug free solution to lowering their Cholesterol level. No matter what your age, LipidShield will work for you and give you the drug free Cholesterol control agent you have been looking for. “Hello, As promised, here are my test results since I started taking LipidShield. A Product That Works !I take this product with heart savior and they keep my cholesterol in check . My doctor loves the results . Five stars for both products. Great product!! Took this as directed for 3 months before my annual screening. Cholesterol down from 265 to 200! LDL down from 175 to 118! Thanks for a product that does what it advertises.